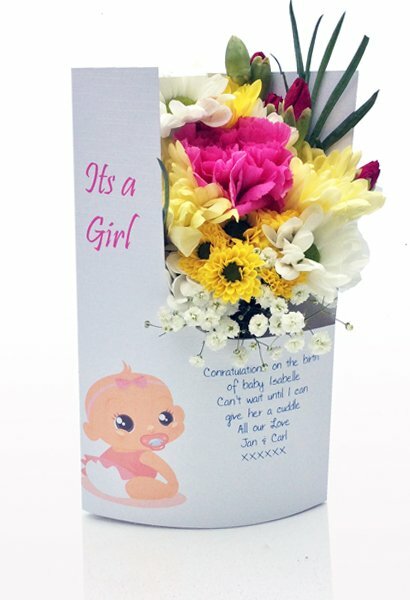 There's no more joyous occasion than a new life. 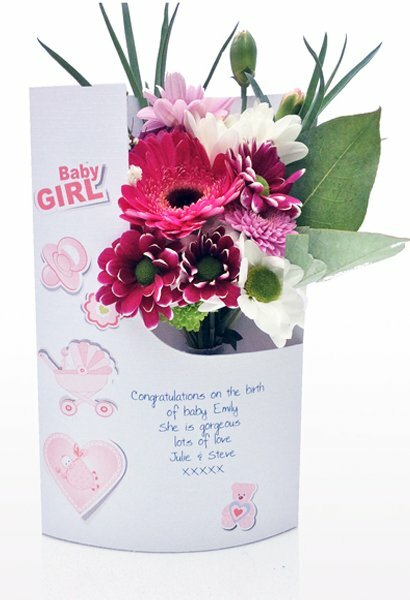 Celebrate with the parents with a lovely bright flower card , with your own personal 'welcome' message printed on the front of it. 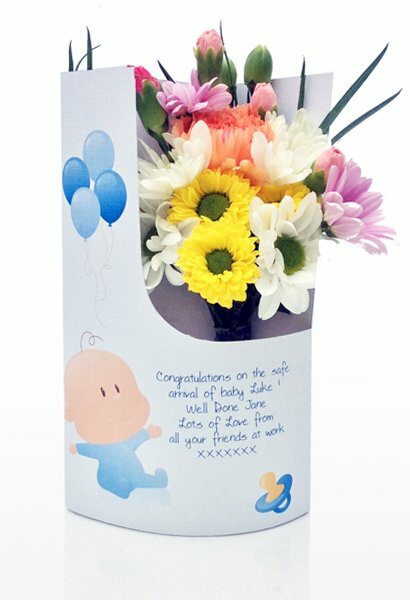 Please note To ensure safe delivery, please don't send it directly to the hospital, better to wait for them to get home. Choose your card from the relevant category. 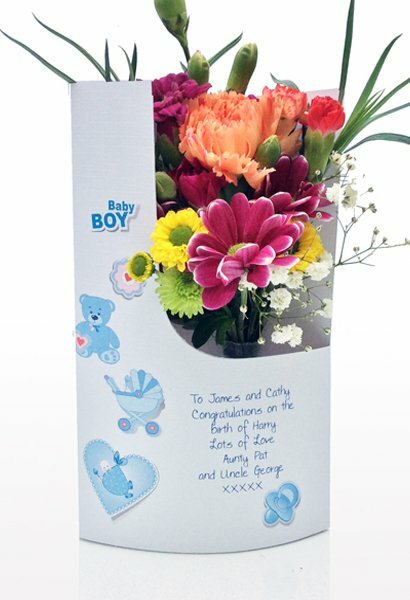 Fill in the details of the recipient of the flower card, including the personal message you want printing on the front of it. Pay by Paypal in our SSL secured checkout.